Frontal hair loss or a receding hairline is primarily the repercussion of genetic balding tendency. It is found commonly in men and is termed as Male Pattern Baldness or Androgenetic Alopecia. Although, it is less prevalent, pattern baldness may also be noticed in women. If you notice signs of frontal hair loss, the trend is likely to continue and progress to complete baldness through several years. If you are looking for an understanding of how to stop frontal hair loss through simple remedies, here are some effective solutions that can help in managing the problem to a certain extent. 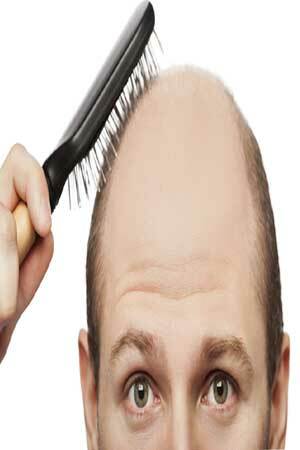 The primary cause of male pattern baldness is a hormone called DHT or dihydrotestosterone. It is responsible for thinning of hair and subsequent hair loss. There are DHT inhibiting shampoos that can be used to restrict the production of DHT and protect the hair from the associated damage. Choose shampoos that contain finasteride and minoxidil as active ingredients. These compounds have been approved by FDA as a proven remedy for DHT related baldness. If you are on the lookout for natural remedies for managing the problem, saw palmetto can be considered as an effective option. It can either be used as a topical solution or be included in your daily diet. Saw Palmetto oil can be used as a bedtime massage and kept on overnight. Similarly, Saw Palmetto pills can be consumed on a regular basis for controlling frontal hair loss. The dosage may vary from 160mg pills to 320 mg pills each day. You may consider assessing the effects of certain effective herbs when trying to find an answer to “how to stop frontal hair loss?”. There are certain herbal extracts such as Gingko Biloba that enhance blood circulation within the scalp and ensure that the follicles are supplied with the vital nutrients they require for a healthy growth and development. Hence, they help in managing hair loss. Finally, if none of these remedies achieve success, you will have to resort to hair transplantation as the final solution. A hair transplantation surgery is procedure in which hair follicles are lifted from the backside of your scalp, which is also known as the donor area and transplanted in the bald patches at the front to cover them. The biggest advantage of a hair transplantation surgery lies in the fact that it is a permanent solution and need not be repeated recurrently. Depending on the progressive trends and intensity of problem, solutions for how to stop frontal hair loss can be chosen and adopted.